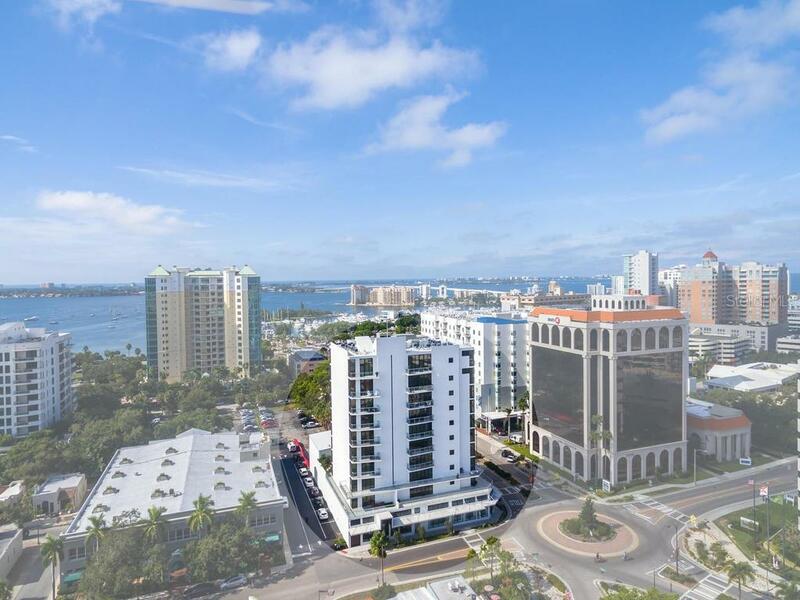 Ask a question about 300 S Pineapple Ave #401, or schedule a tour. 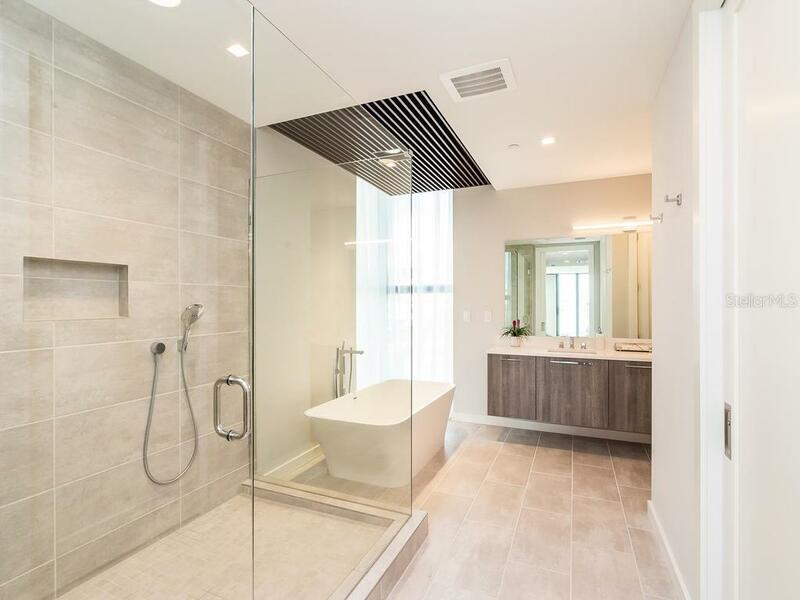 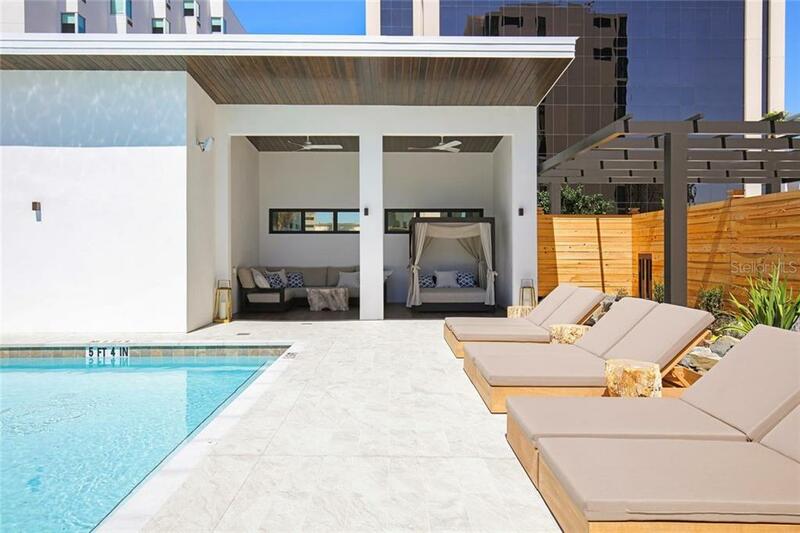 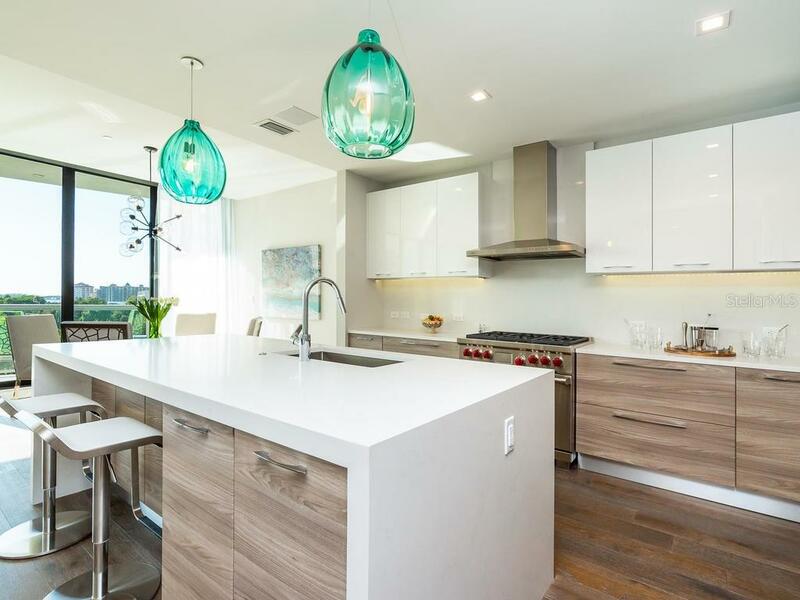 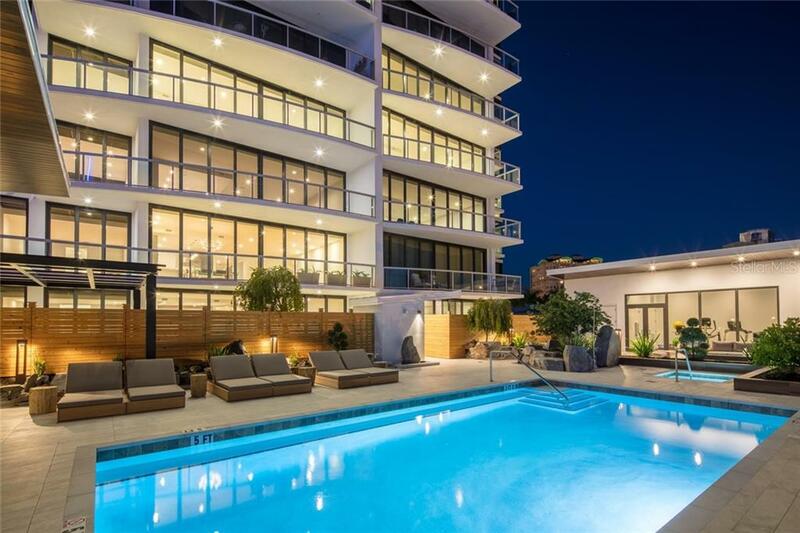 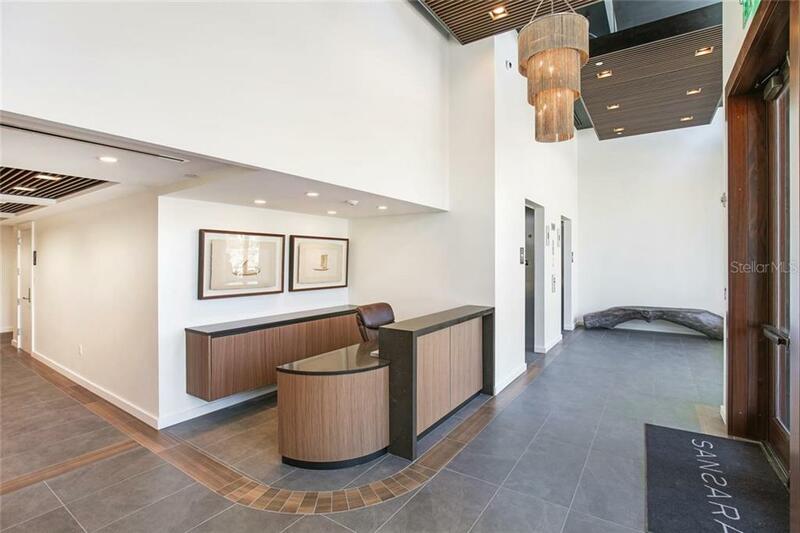 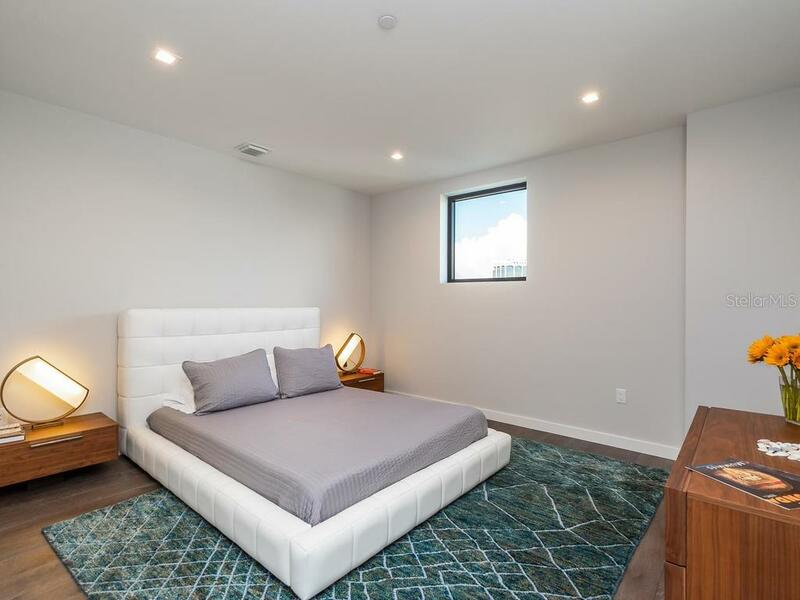 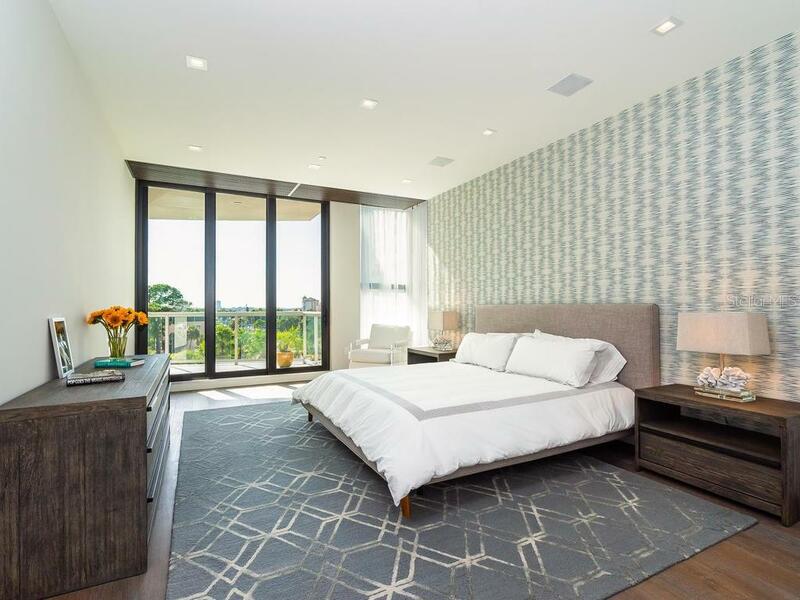 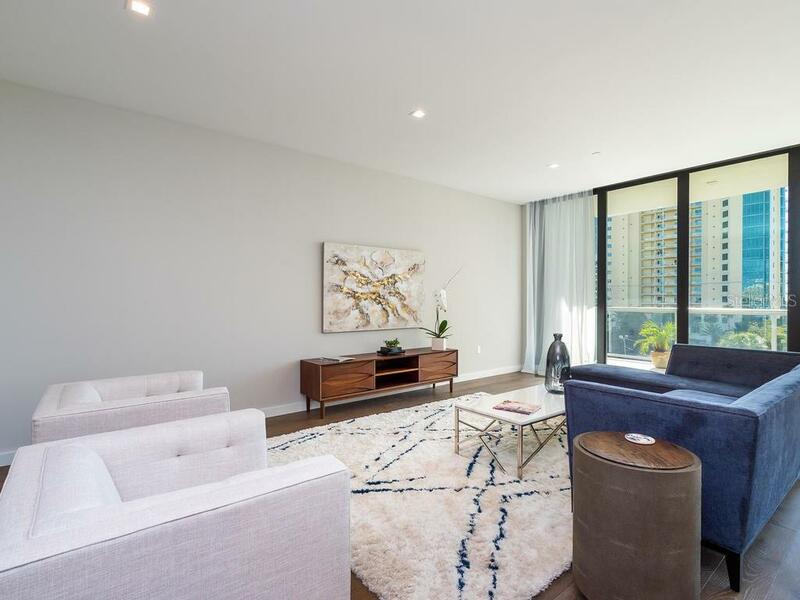 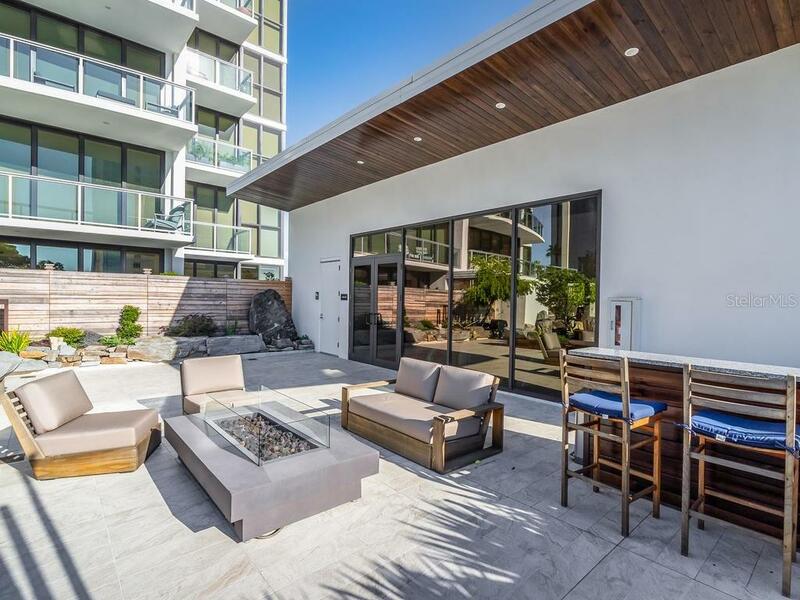 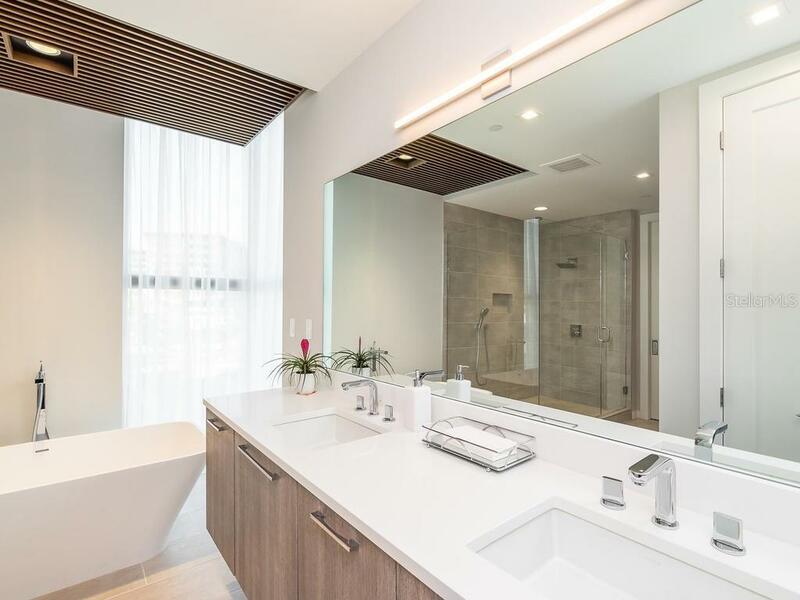 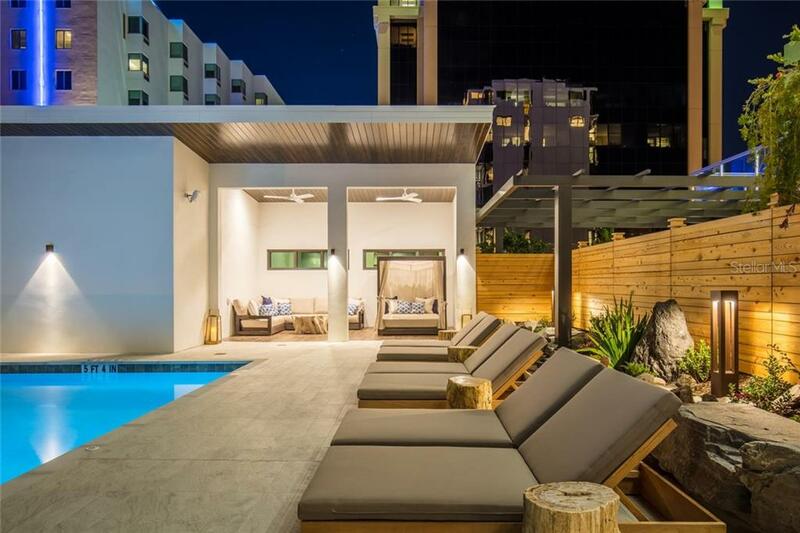 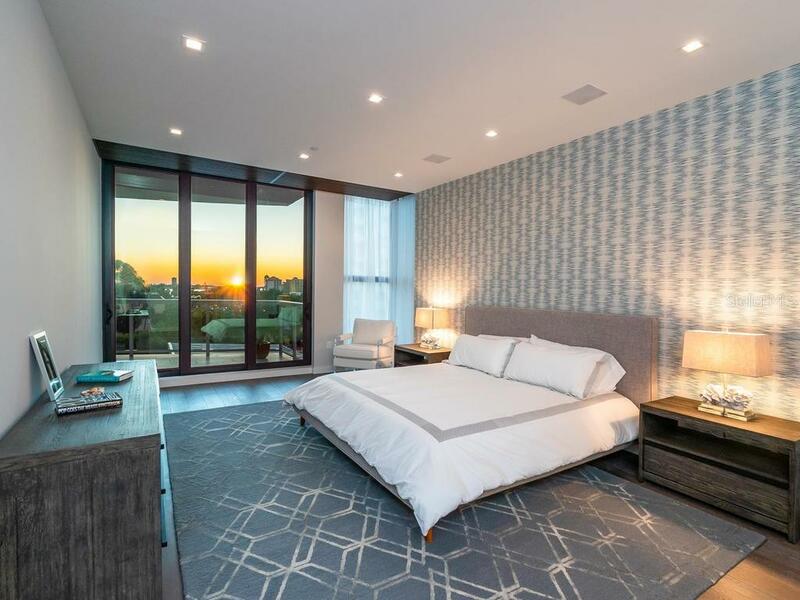 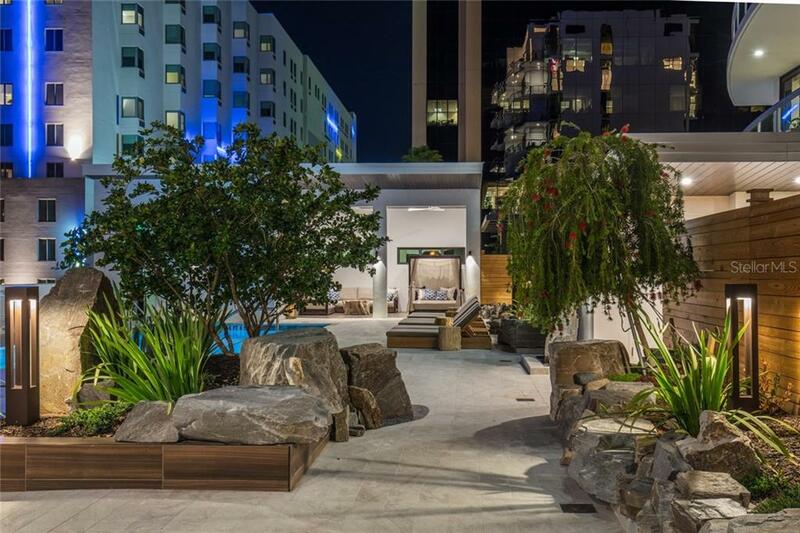 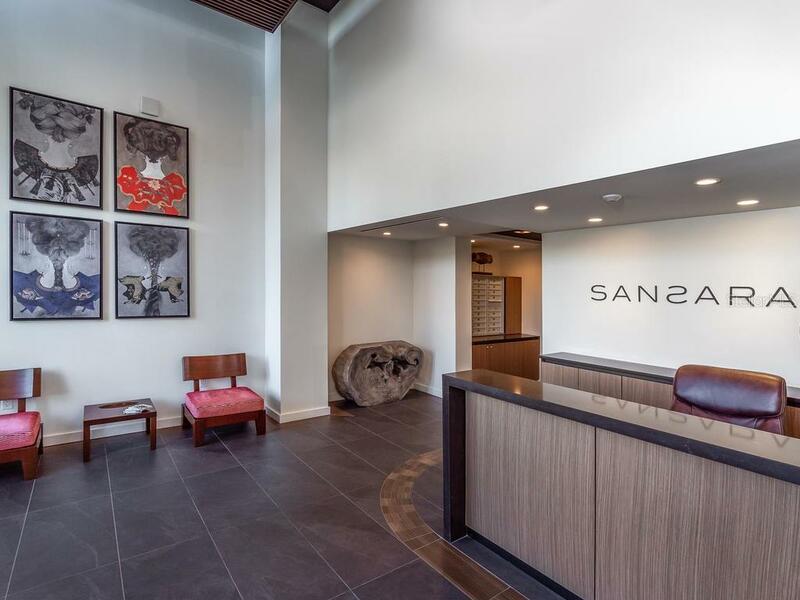 Elegant, luxurious and modern — this stunning, rarely available residence in boutique building, Sansara, is an ideal blend of modern aesthetics, urban appeal and iconic downtown address! 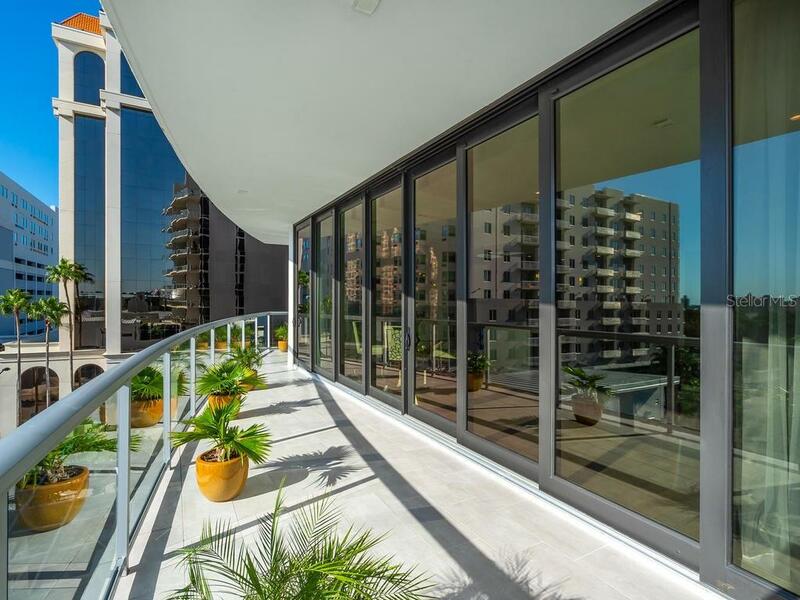 Soaring 10’ ceilings and 30’ retractable window ... more.wall create a perfect union of indoor and outdoor living for you to enjoy. 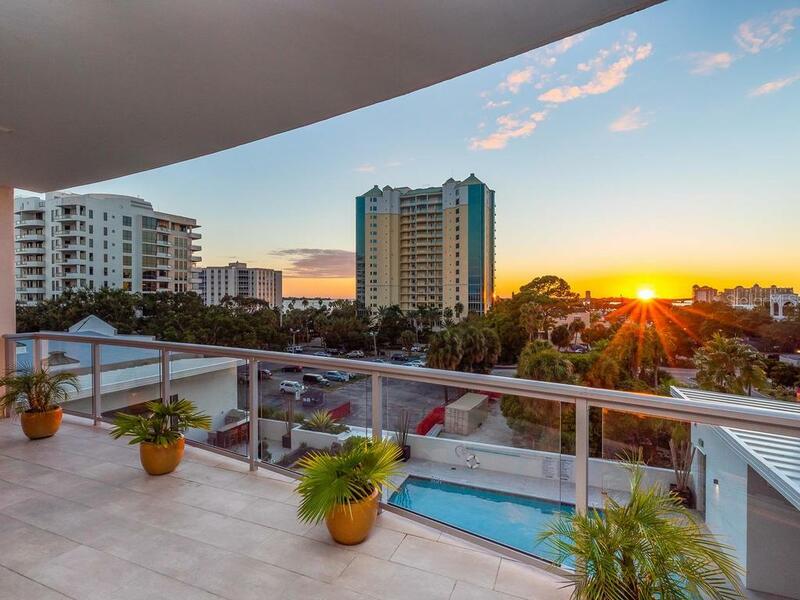 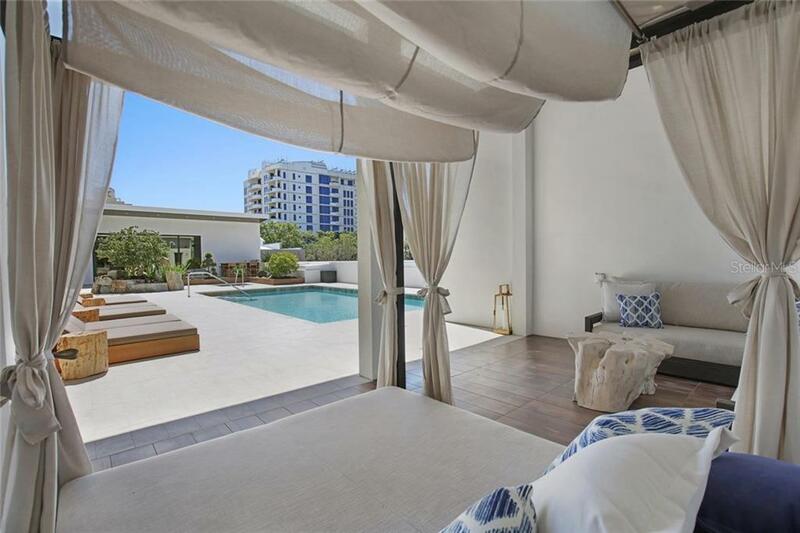 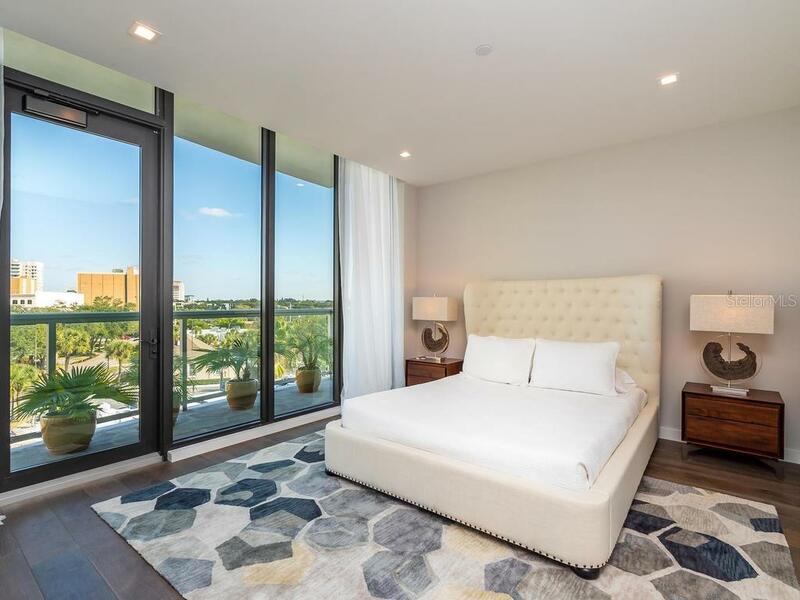 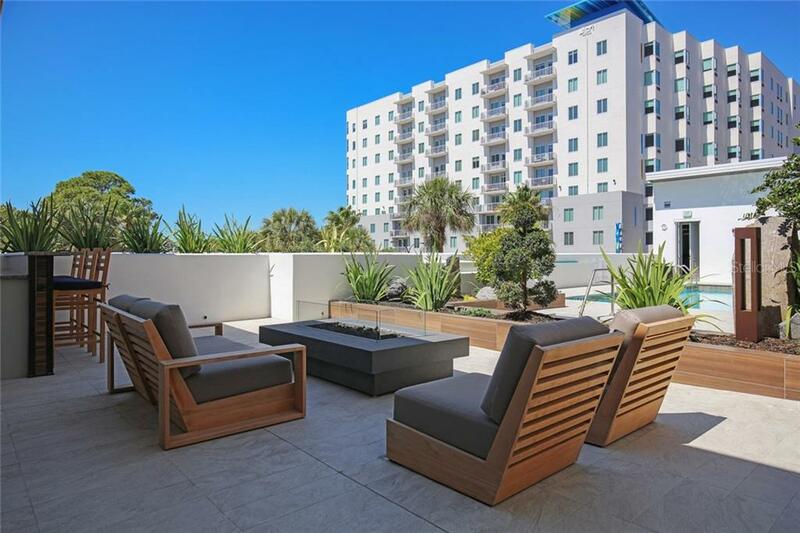 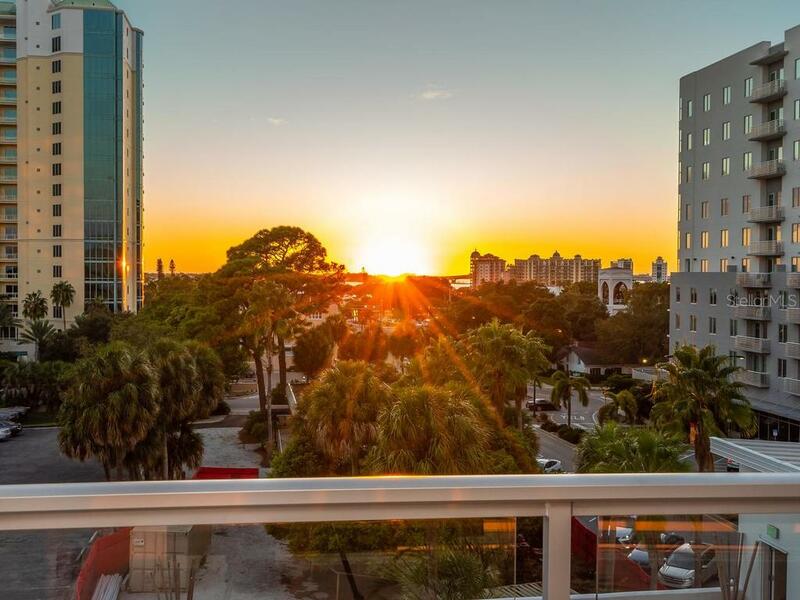 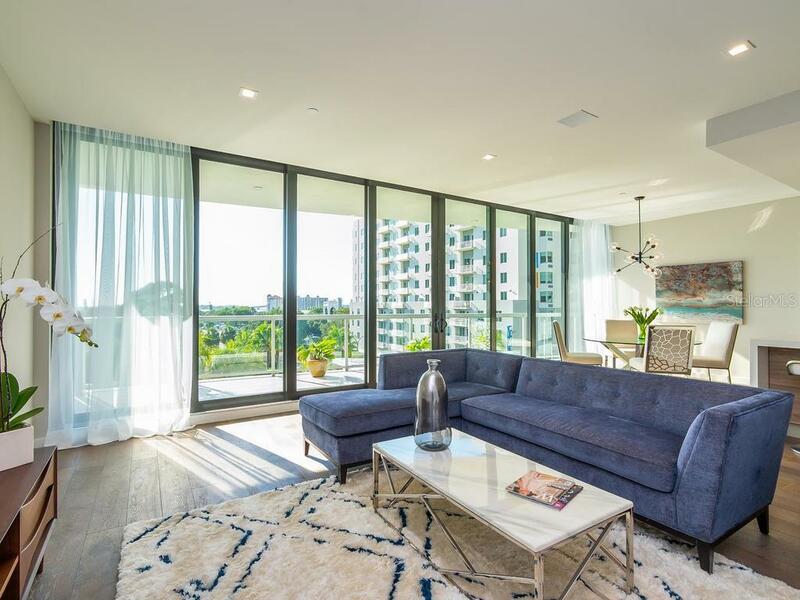 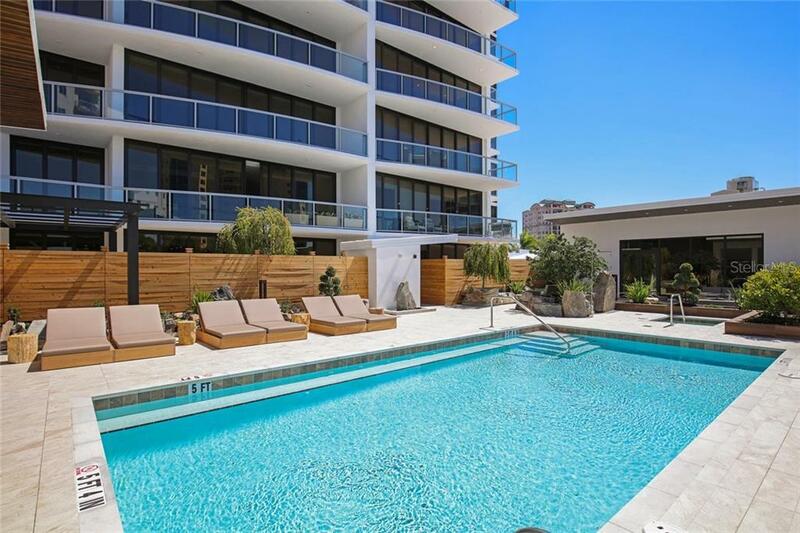 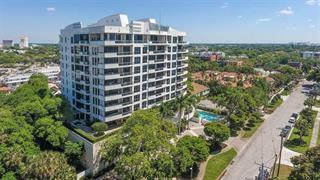 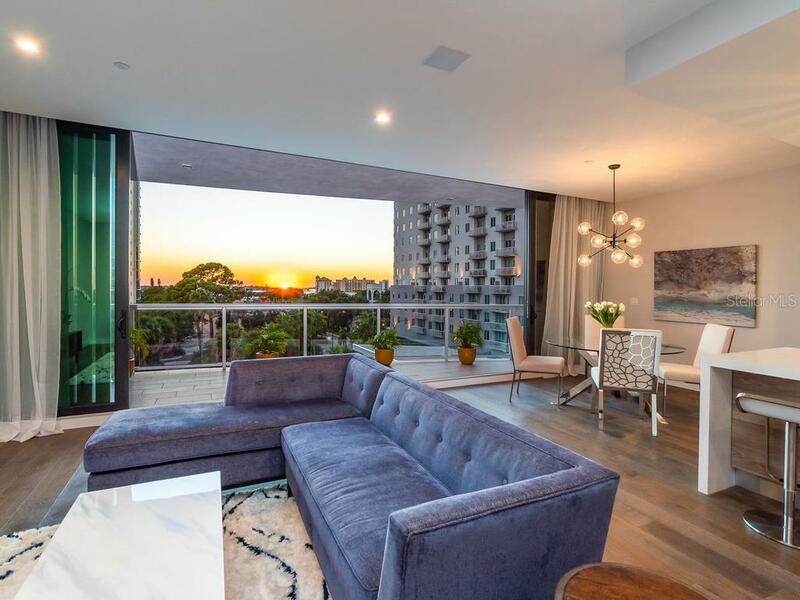 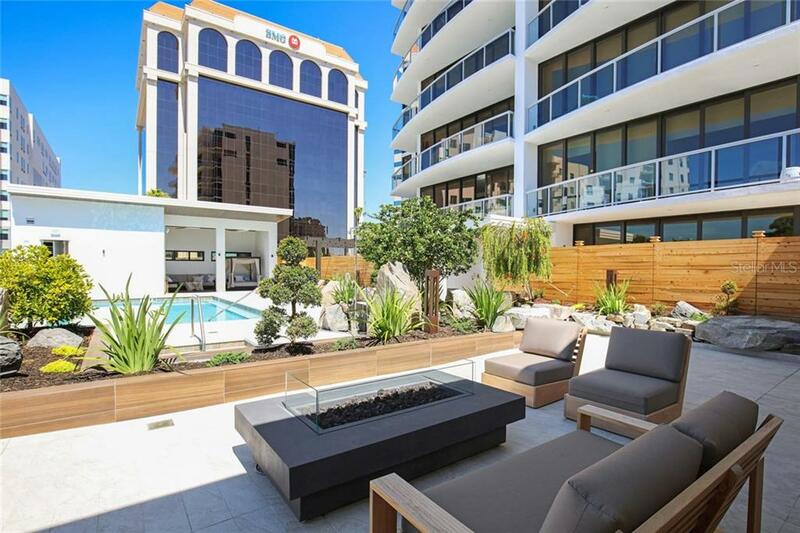 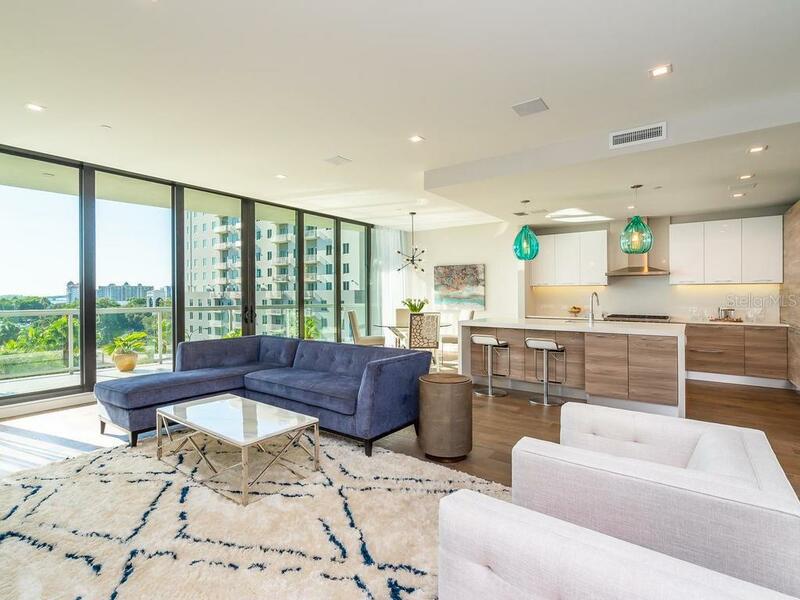 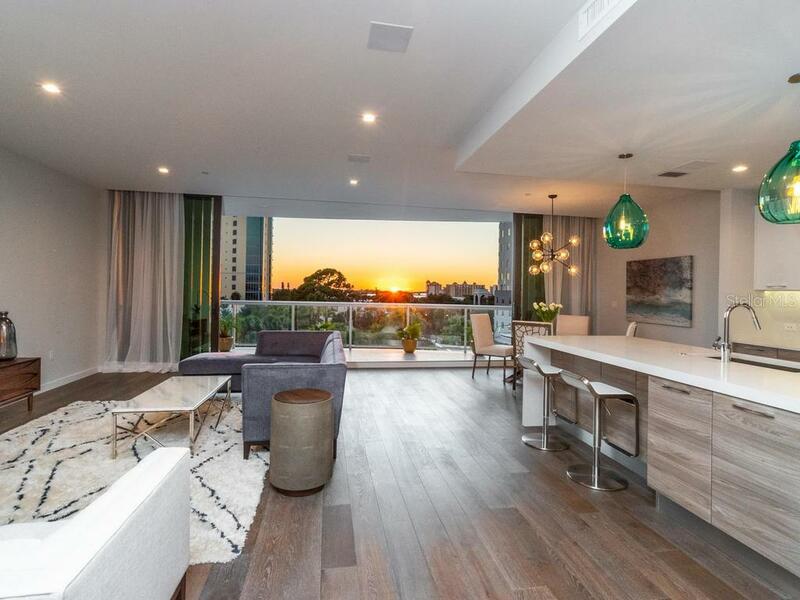 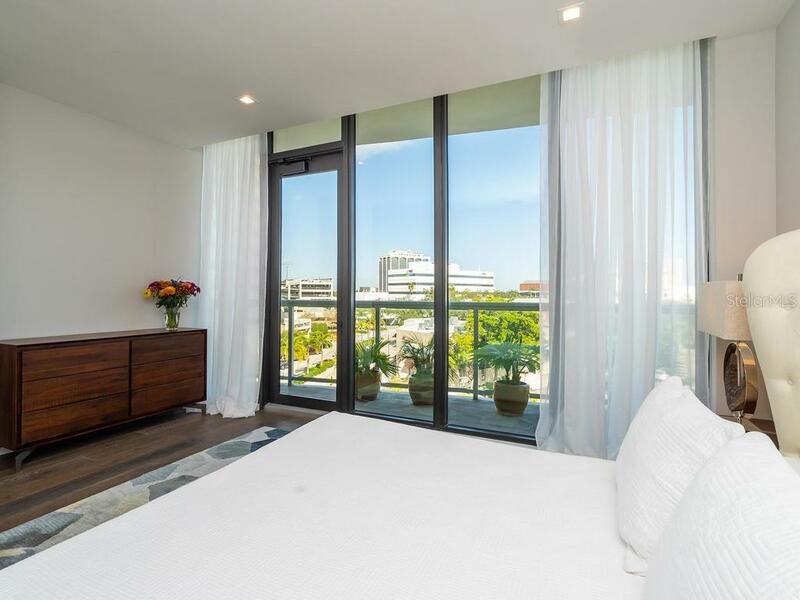 Situated on the northern end of this boutique 10-story midrise, this condo allows one to bask in both sunrise and sunset views from your east and west facing balconies. 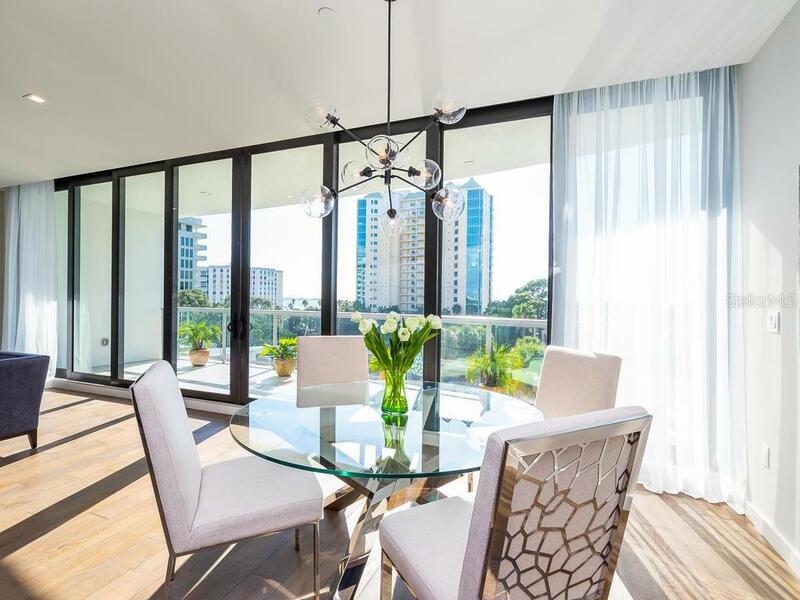 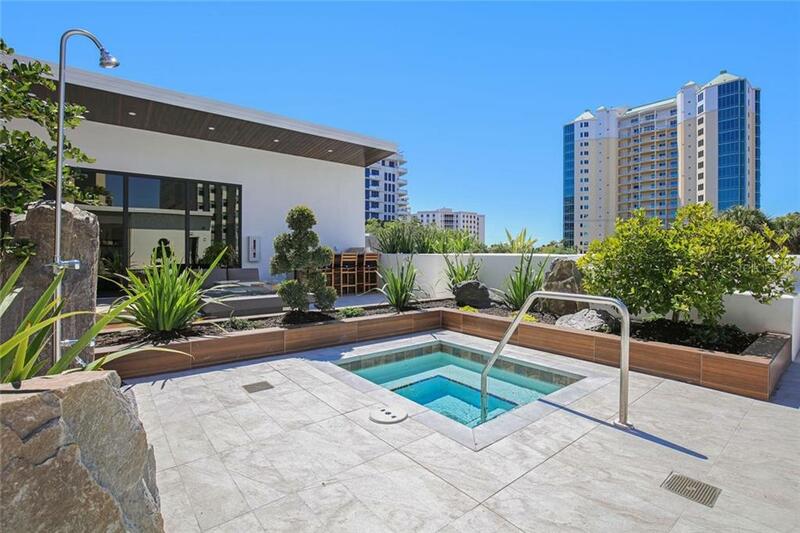 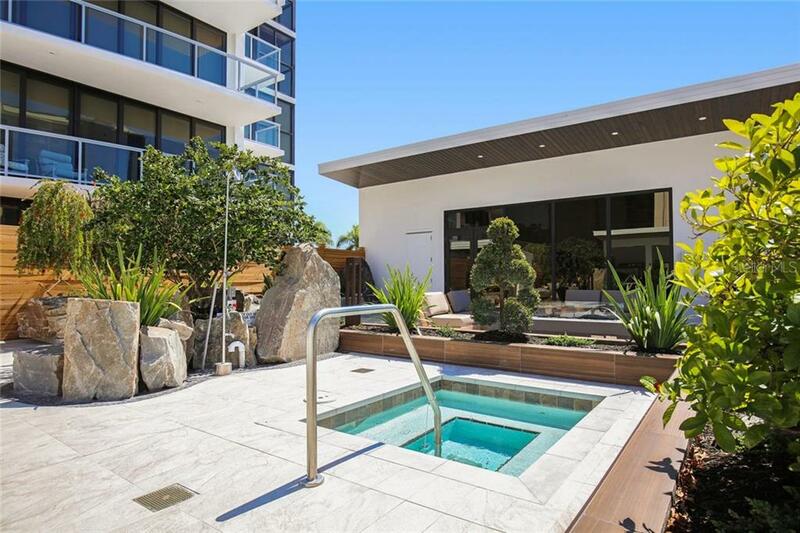 Peek-a-boo views of the Bay contribute to the beauty and serenity this stunning residence offers. 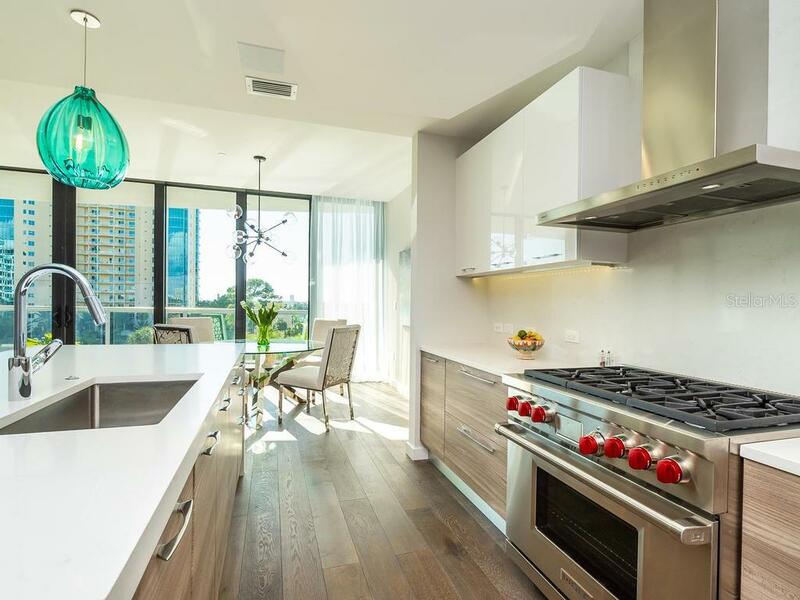 The condo is appointed with top-of-the-line finishes: wood flooring and tile throughout, handcrafted Italian cabinetry, recessed LED lighting, thick Caesarstone quartz countertops, under-cabinet LED lighting in kitchen, Wolf 36” dual fuel range, Sub-Zero 36” refrigerator with internal water dispenser, 30” Sub-Zero wine cooler, Miele dishwasher, recessed speakers in master bedroom, kitchen and living area, en suite bathrooms, and soft close pocket doors throughout. 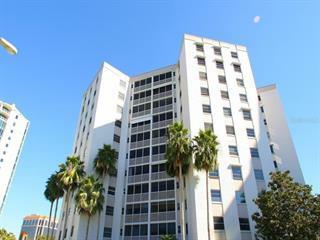 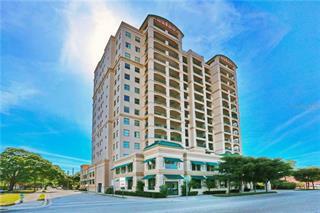 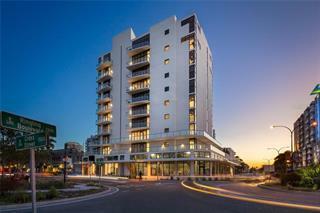 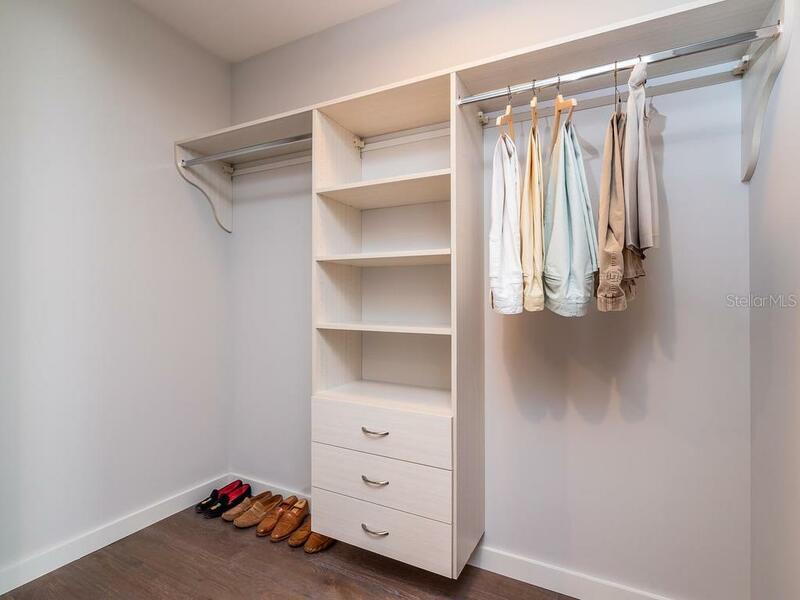 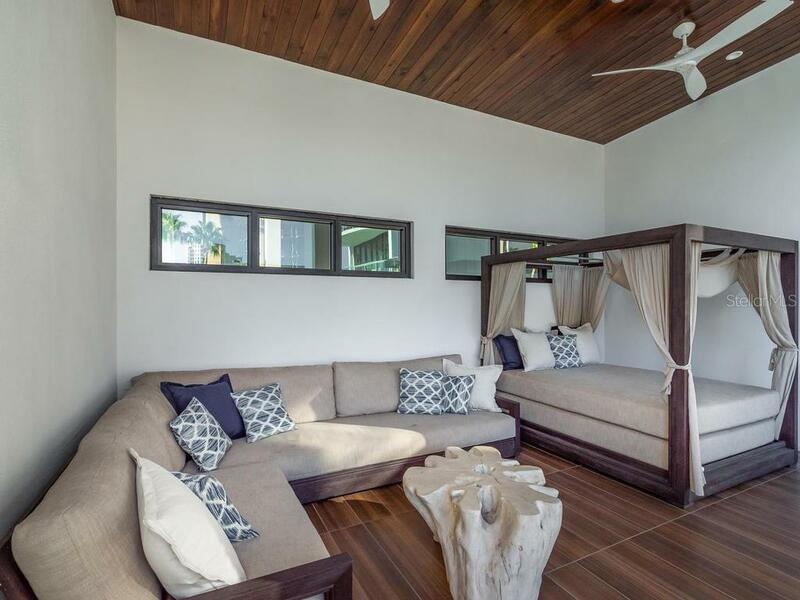 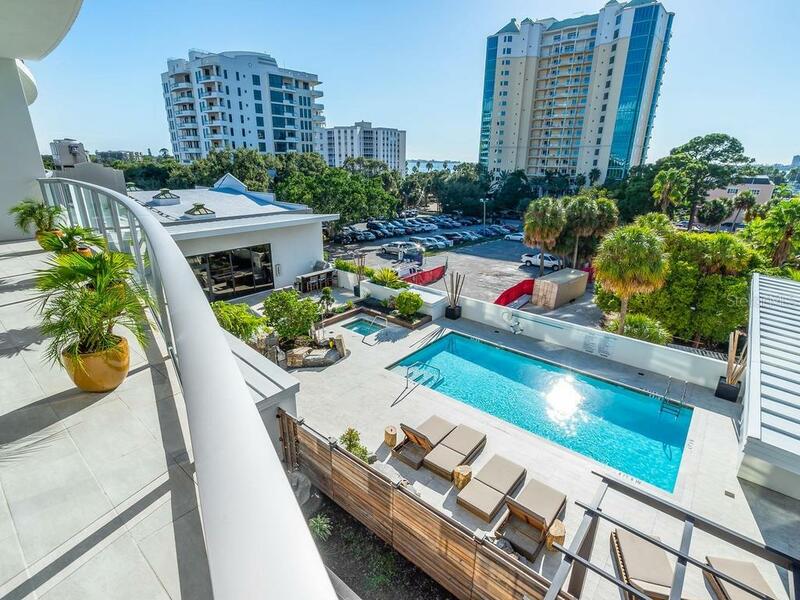 This condo even comes with air-conditioned storage and 2 car private garage. 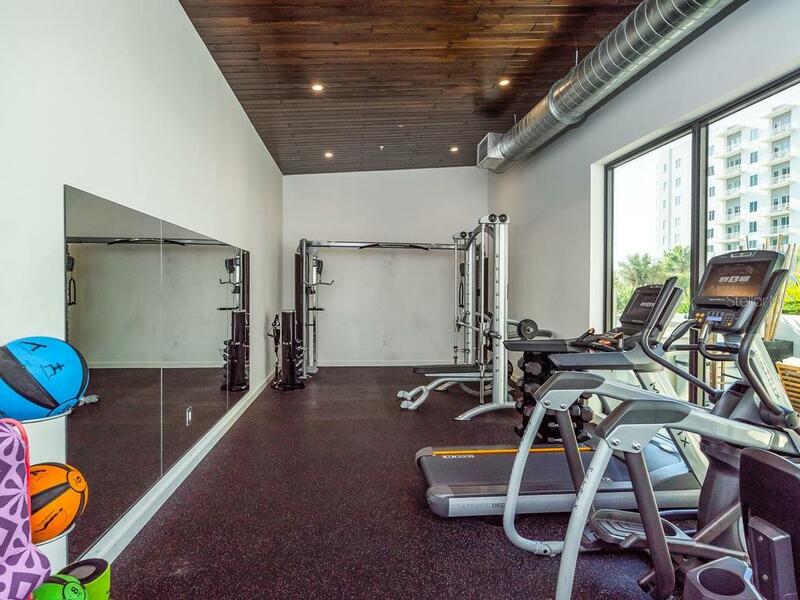 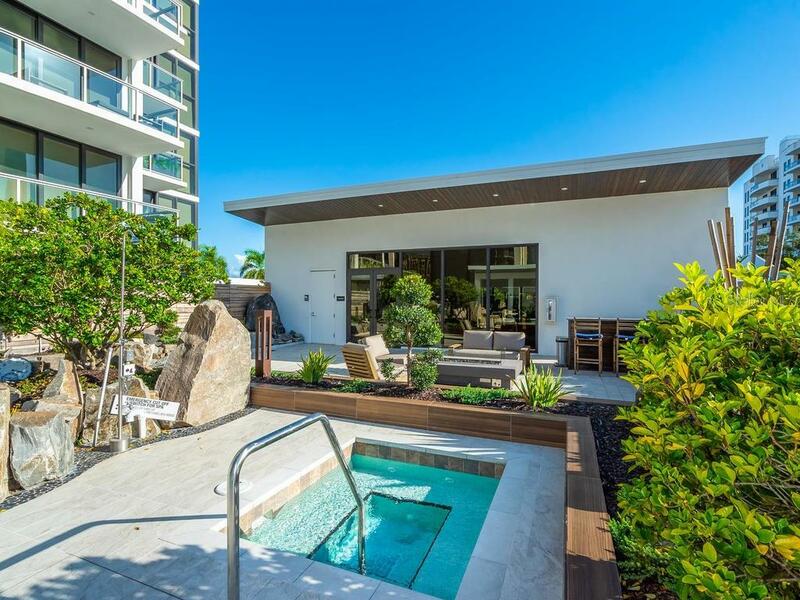 Building amenities consist of a relaxing pool, private spa, poolside cabanas with day beds, fire pit, outdoor kitchen with bar and a private gym with yoga room. 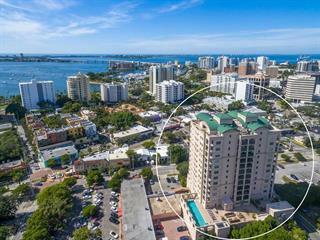 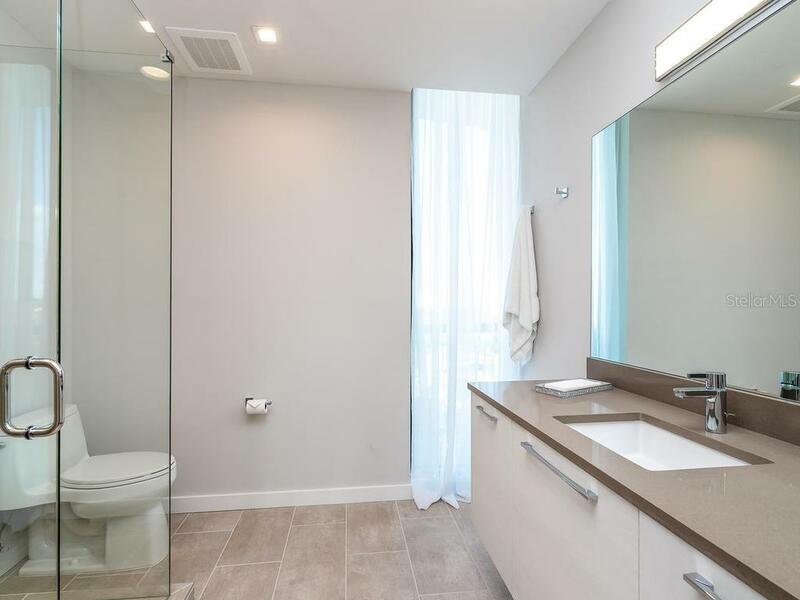 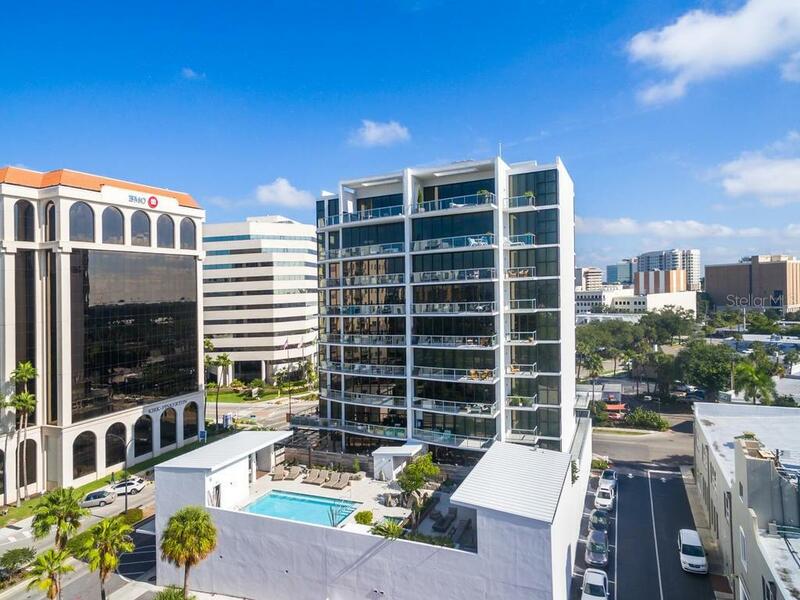 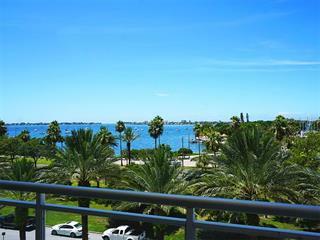 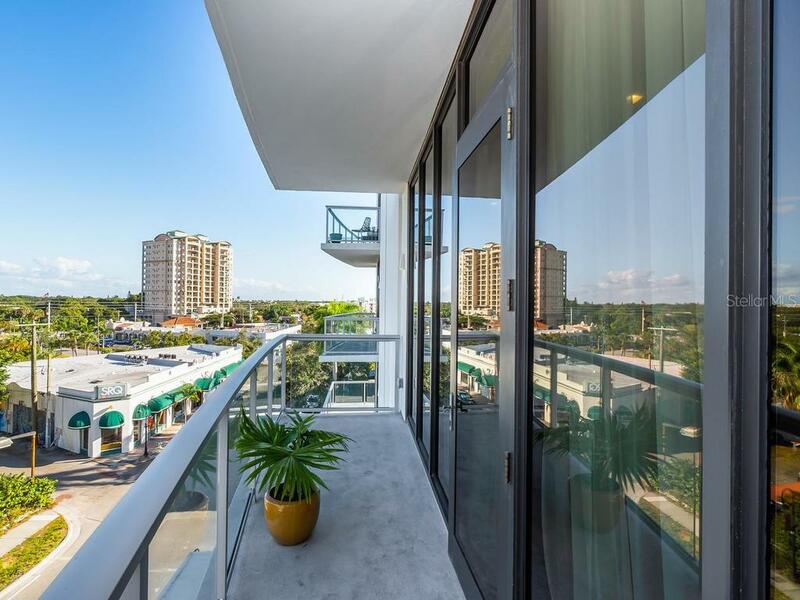 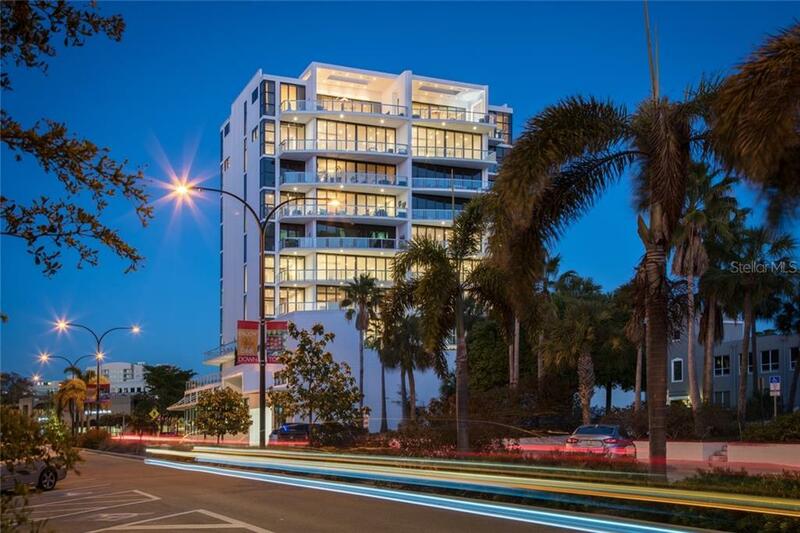 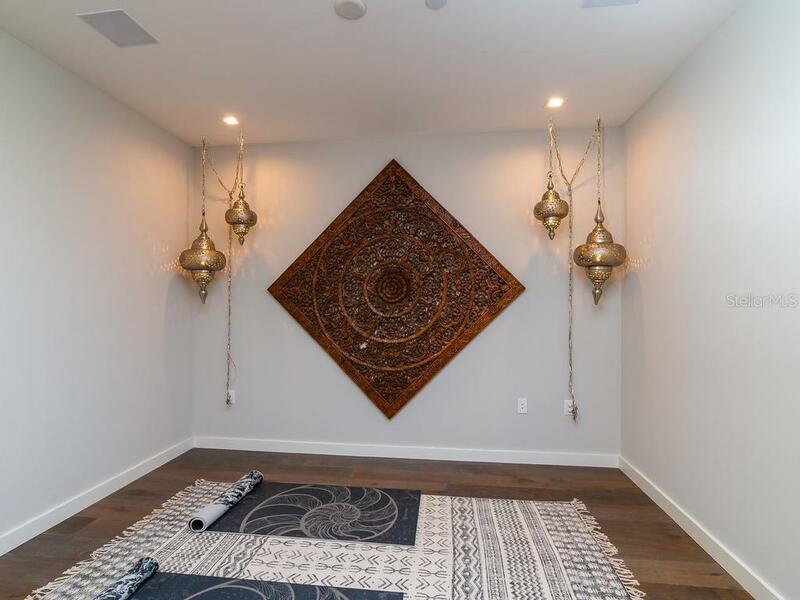 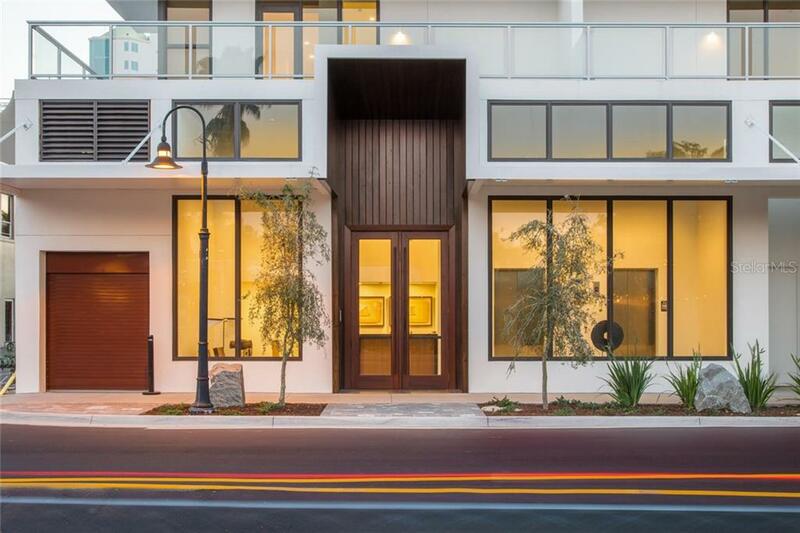 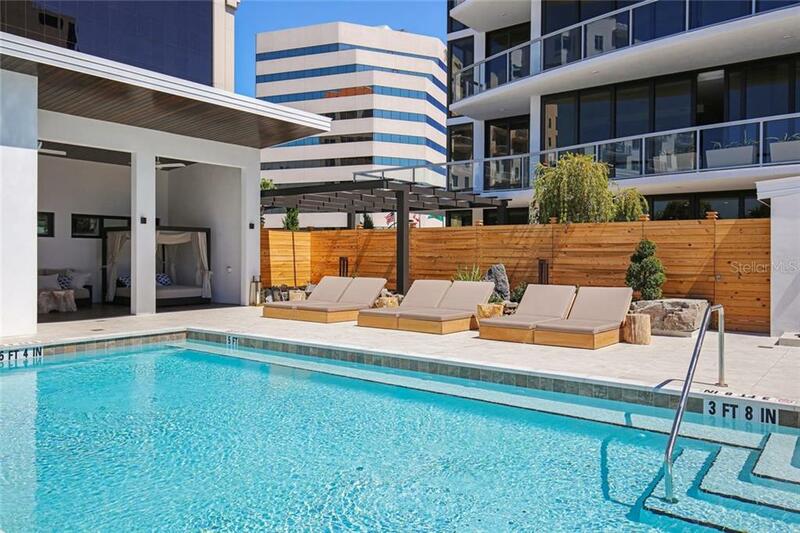 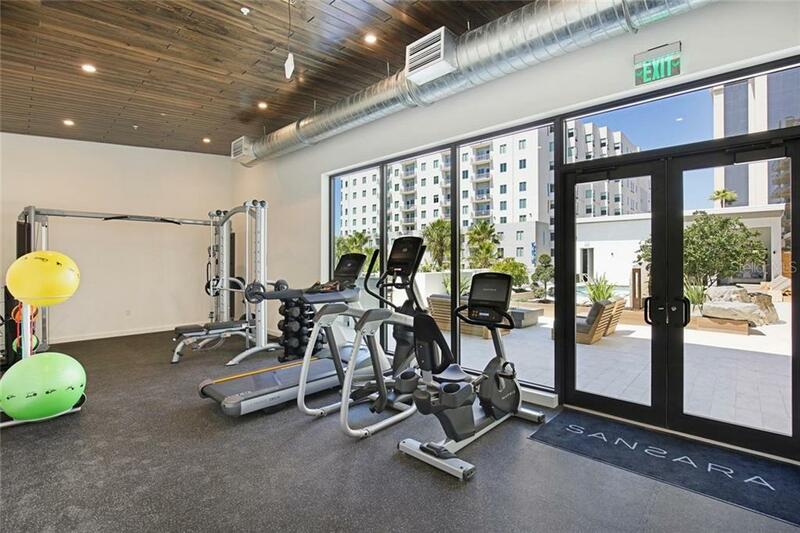 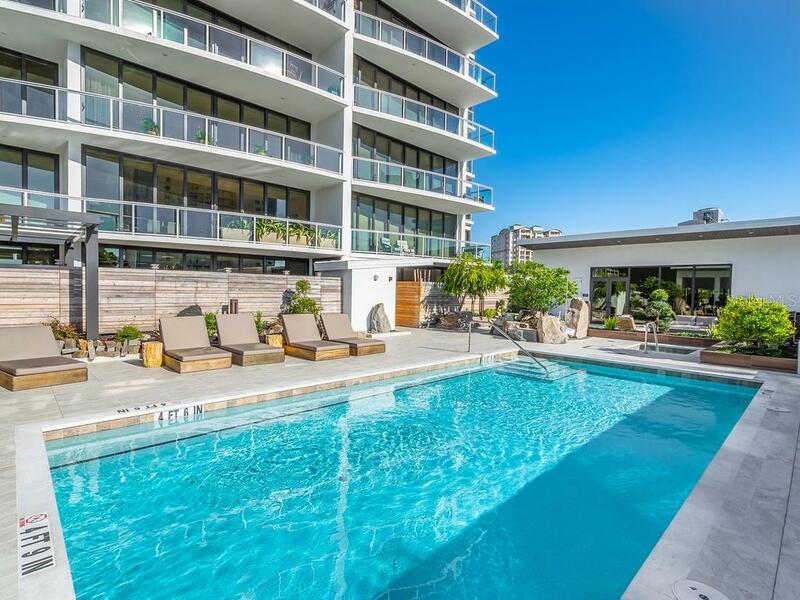 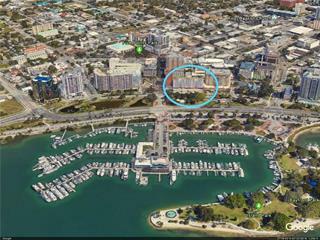 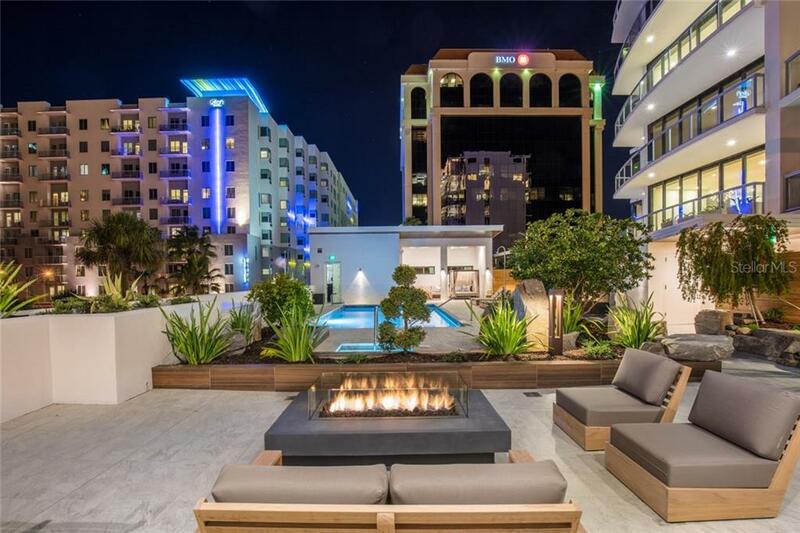 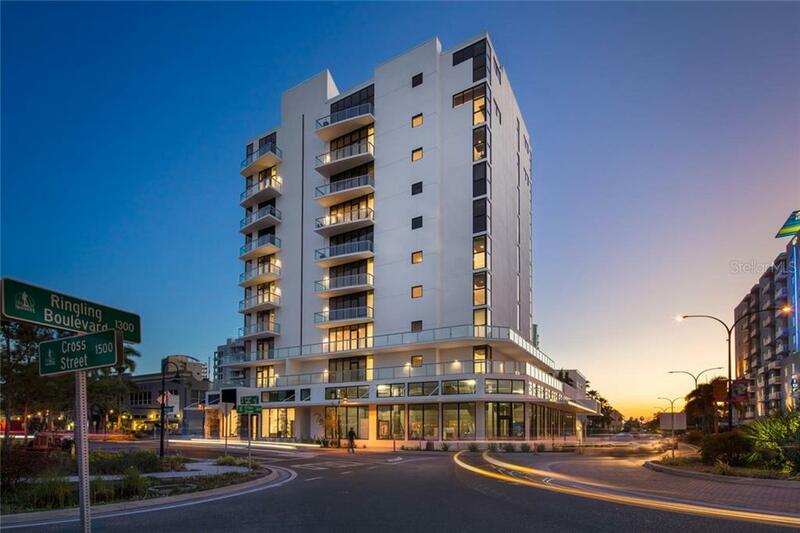 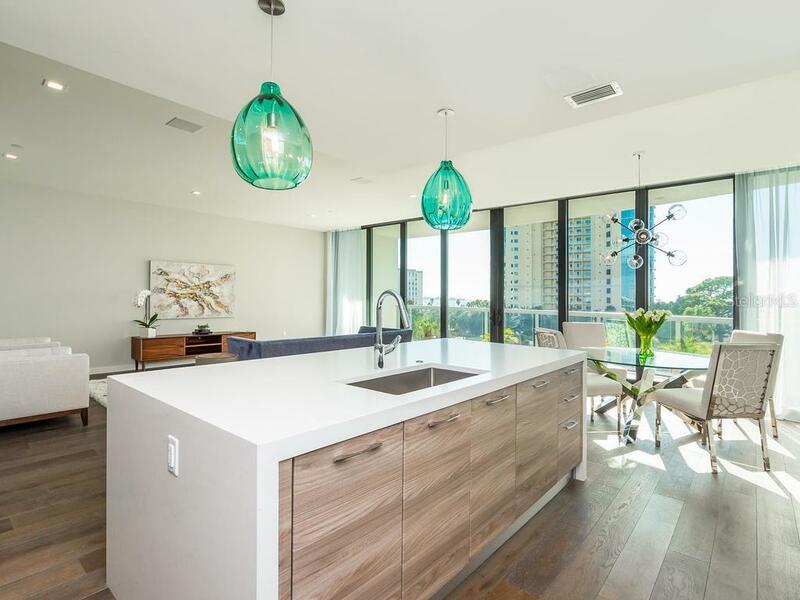 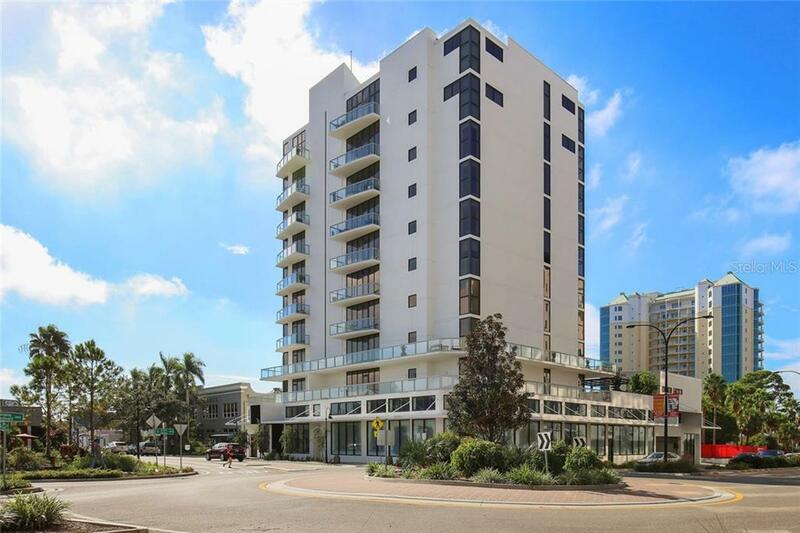 Located at the gateway of historic Burns Court, Sansara is perfectly attuned to downtown Sarasota within close proximity to the farmers market, restaurants, theaters, organic markets, nightlife and more.